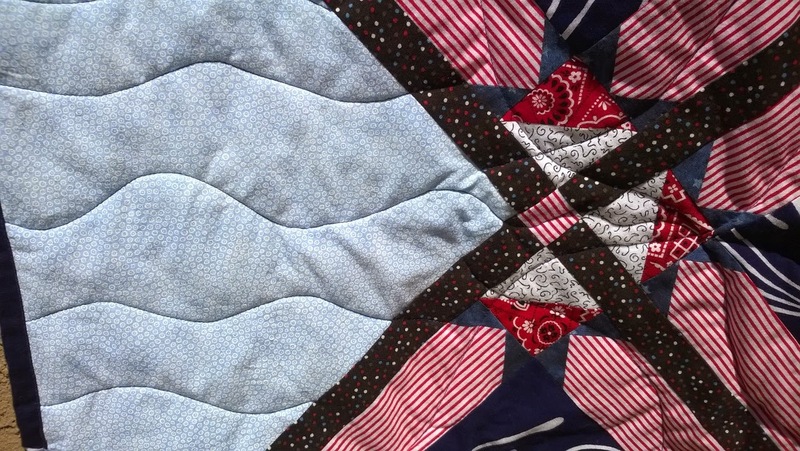 One of my favorite things to do online is to check out other quilting blogs. I was reading a blog back in November where a girl was talking about being a pattern tester. What is a pattern tester?A pattern tester is a person who test patterns! Well I wanted to be one so I started looking online for peeps who needed one. There were several options to choose from but I decided to go w/The Quilt Pattern Magazine and signed up to test the Sashing Surprise pattern. I had this cute big print fabric I got at Goodwill that was just sitting there looking cute…and now it had a purpose. 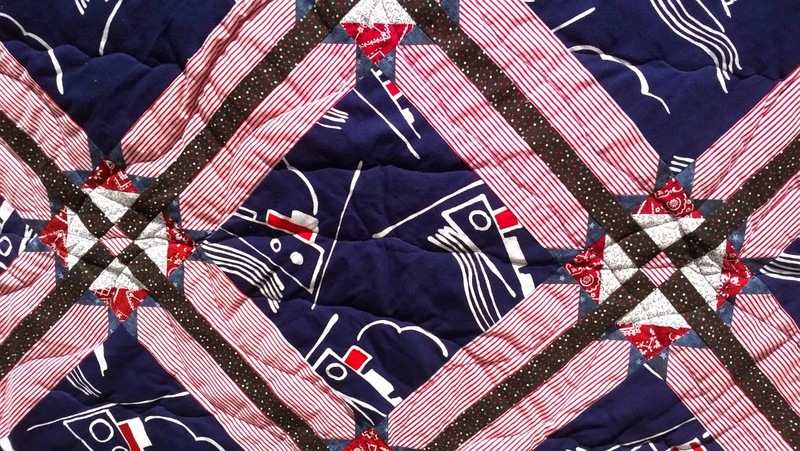 I call this quilt Full Steam Ahoy. 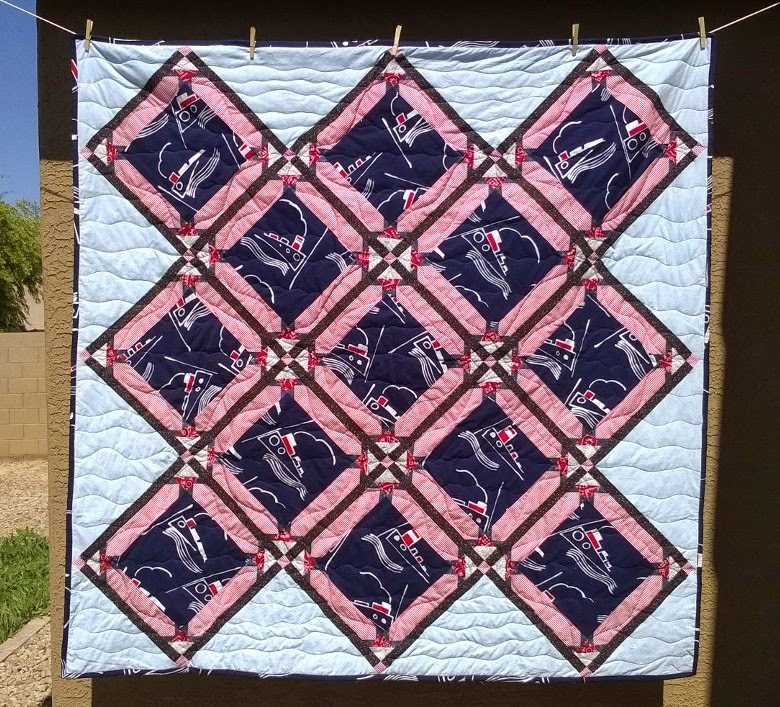 It is pictured in this months issue of The Quilt Pattern Magazine. This one is for sale in My Etsy Shop! 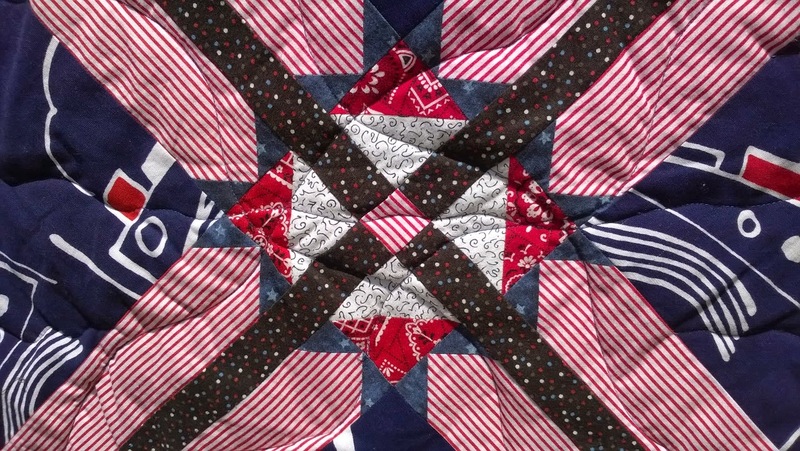 « Time Off Work Did This Quilter Good! I love how this turned out and am so proud of you sis!!!! Pattern-wise, that very narrow band seems challenging, really shows up any mistakes… and the intersections are so fussy! But your work is impeccable. This is so nice! Great job. Those tiny squares are so intricate! Thanks Teresa. The tiny corner caps were the most challenging.